CAMPING PITCHES FOR ALL TASTES! 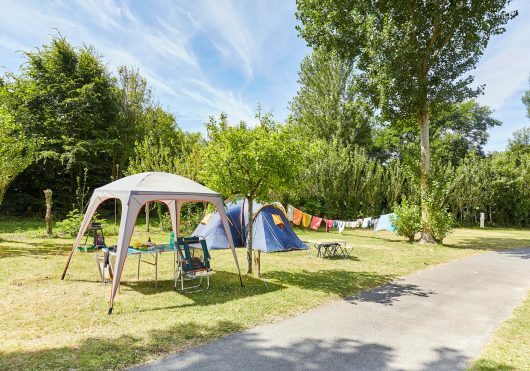 The campsite offers 125 camping pitches (minimum 100 m²), each bordered by hedges and shrubs, for your tent, caravan or motorhome. When you arrive you can choose the pitch to suit you: sunny or shady, with or without trees and the distance from the shower blocks, playground or pool. You will have no trouble finding the perfect spot for a fabulous holiday on the coast. 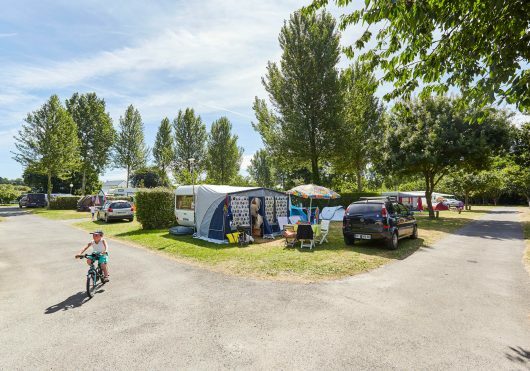 Access to the shower/toilet blocks, indoor heated pool as well as all the other on-site services including a service area for motorhomes and camper vans. To visit the bay of Cancale and its surroundings, visit our page dedicated to tourism. We share with you the activities not to be missed!